Grandparent's Day is Sept. 8, and it's the perfect day to honor the special place that grandparents have in our lives. 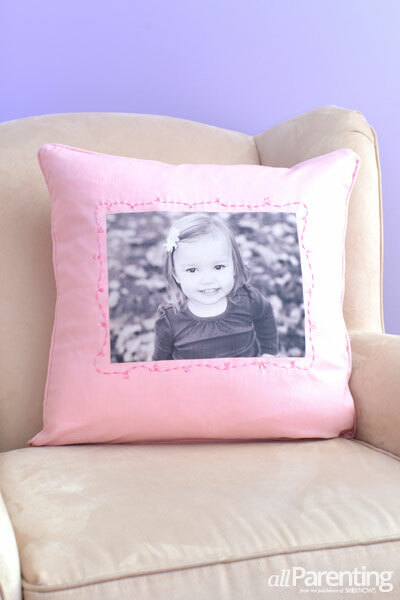 This year, make them a gift they will truly treasure with handmade photo pillows of their grandkids. 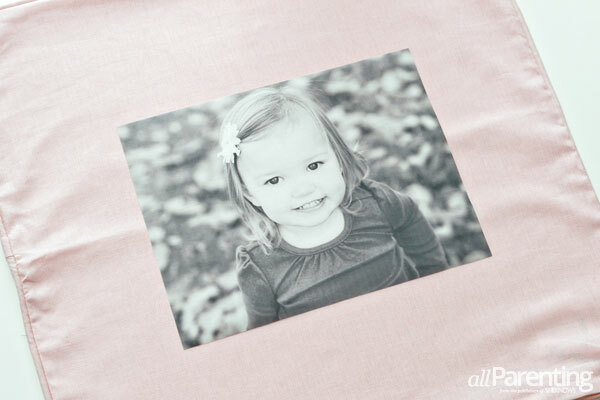 Print your image on the photo transfer paper according to the instructions on the package. You can print your image in color or convert it to black and white with photo editing software such as Picasa. 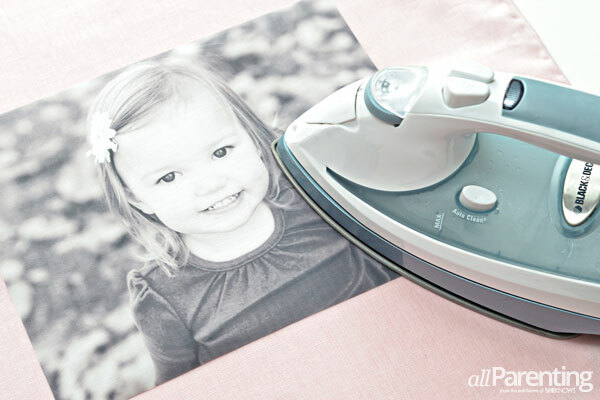 Trim off any excess transfer paper around your image. Lay the image out so that it is centered on the pillow cover. 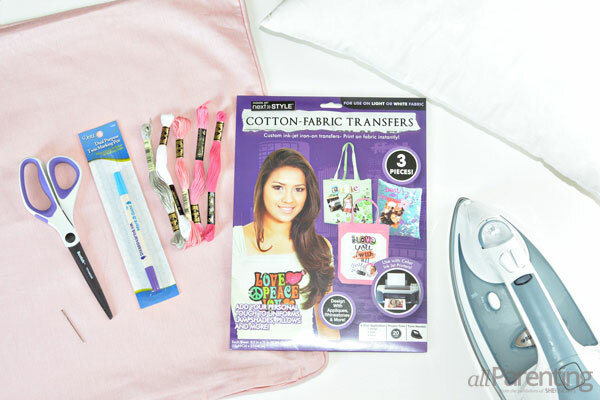 Next, iron the transfer paper to the pillow cover. Check the instructions for your specific brand of transfer paper before you get started — different brands will require different heat settings. Do not use steam. 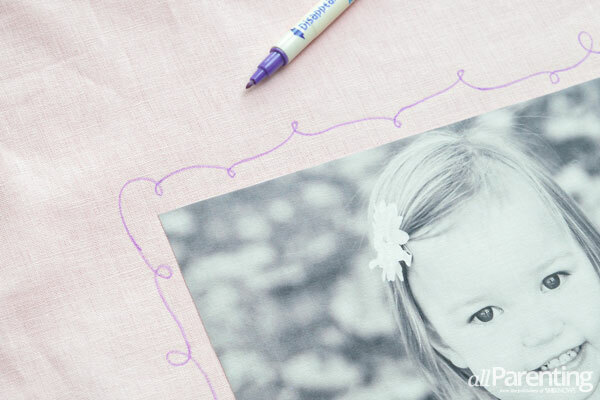 Grab your disappearing ink pen and draw a border design around the picture. 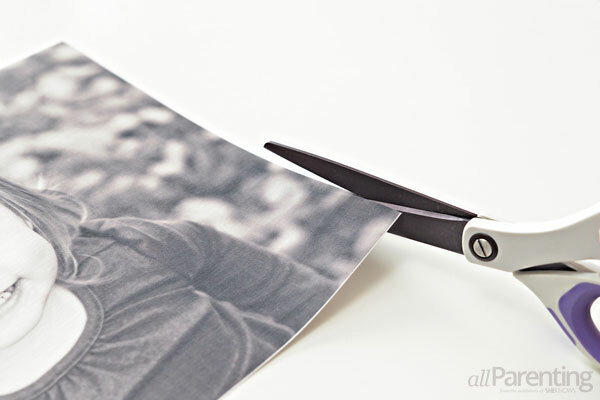 Do not draw on the picture because the ink will not disappear from the photo transfer paper. 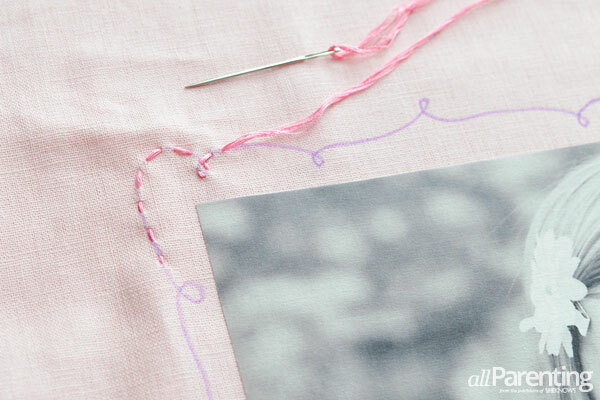 Cut a length of embroidery thread and feed it through the eye of the needle. 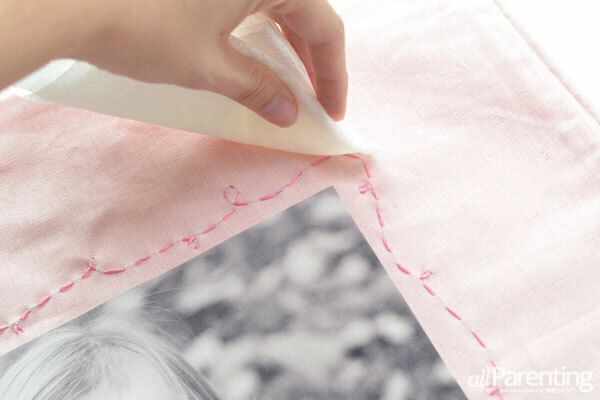 Tie a knot in the end of the thread and start stitching along the border design that you drew. Keep stitching until you have made a border all the way around the image. The disappearing ink should vanish within a few hours. If you would like to hurry it along, you can dab the ink with a wet paper towel or Q-tip to remove it — just be careful not to get any water on the image. 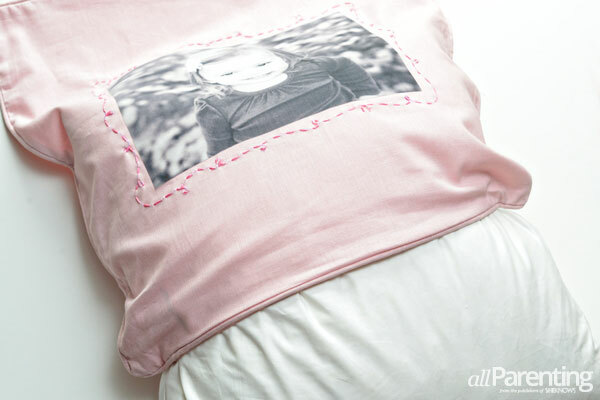 Now you can stuff the pillow into the pillow cover, and your personalized Grandparent's Day gift is ready to give! Use a well-lit photo. 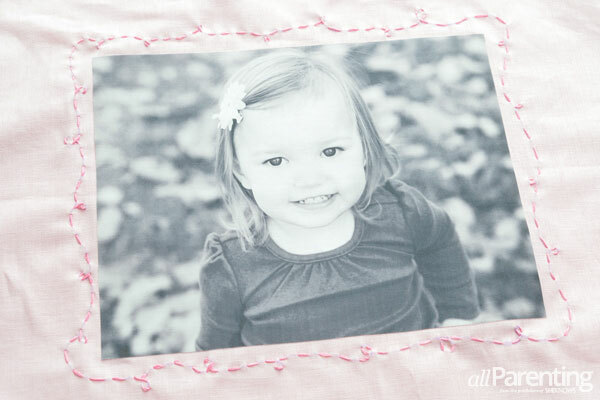 Dark photos will look even darker when transferred on to fabric, so start with a picture that's light and bright. Stick to simple backgrounds. 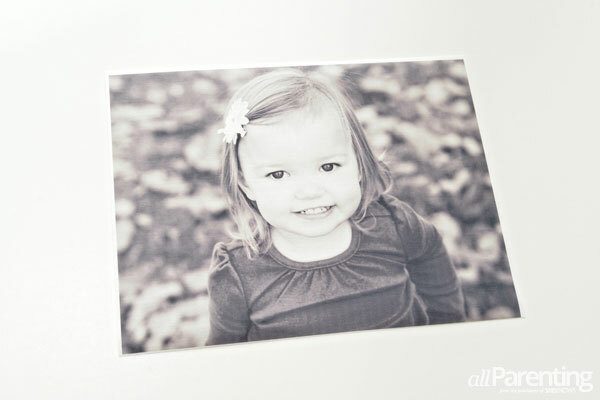 A solid color background or one that is blurred out will help keep the focus on the child in the picture. Choose a picture that is tightly cropped around the subject. A photo taken from far away won't have the same impact as an upclose shot. You can use photo software to crop your photo, if necessary.